When a major American entertainment company sends you a cease-and-desist letter, you should probably be pretty afraid. 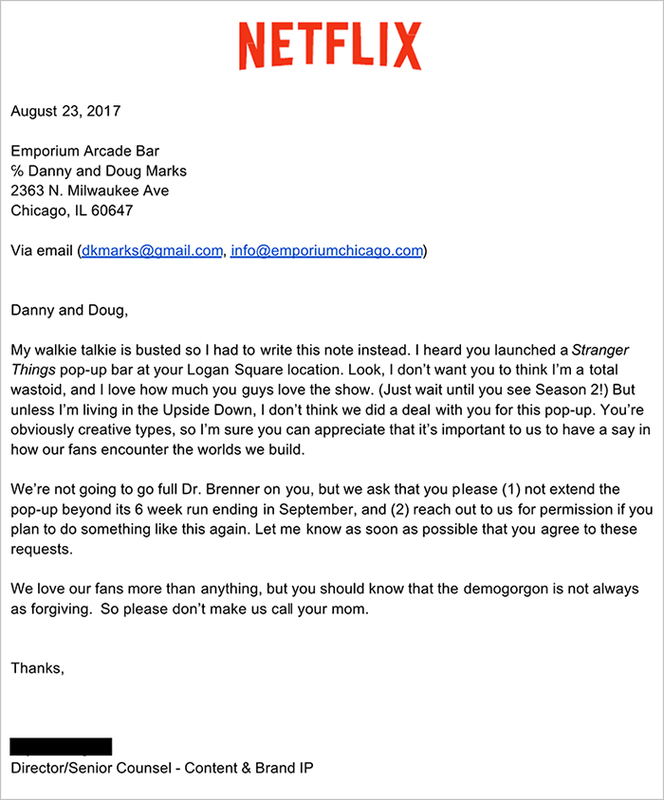 Unless of course that company is Netflix, because as you can see from this brilliant letter that they just sent to the owners of a ‘Stranger Things’ themed pop-up bar called The Upside Down in Chicago, their cease-and-desist letter couldn’t be any nicer, or any funnier. 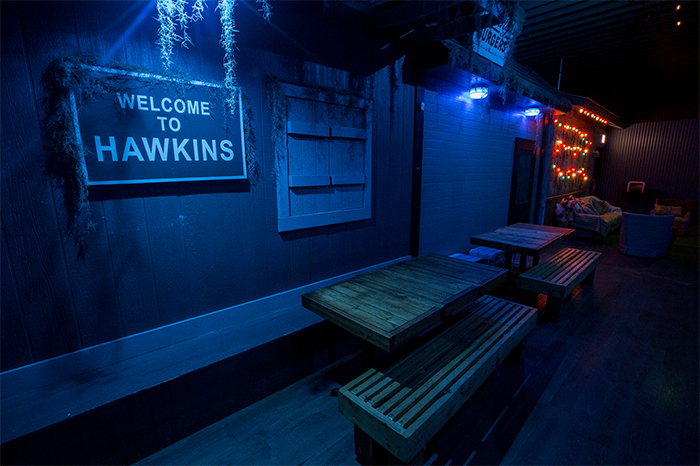 “I heard you launched a Stranger Things Pop-Up bar,” write the Director/Senior Counsel for Content and Brand IP. “Look, I don’t want you to think I’m a total wastoid, and I love how much you guys love the show…but unless I’m living in the Upside Down, I don’t think we did a deal with you for this pop-up.” And he was right, they hadn’t done a deal, but instead of telling them to shut up shop immediately, the Netflix representative told them that they could stay open until their scheduled end date in September before signing off the letter in an equally awesome manner. 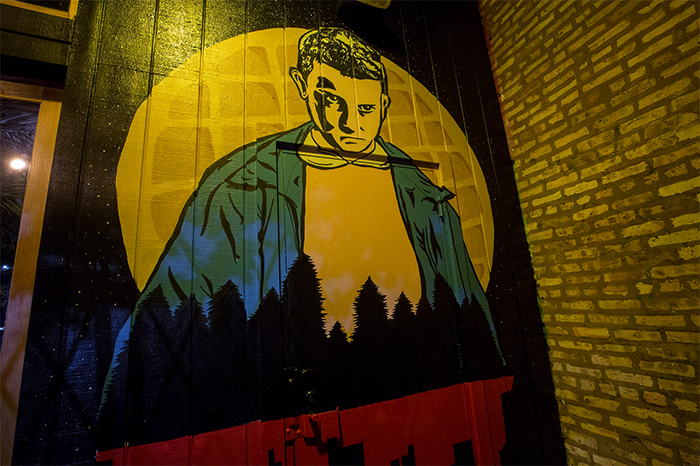 Did you know there’s a ‘Stranger Things’ themed pop-up bar in Logan Square, Chicago? 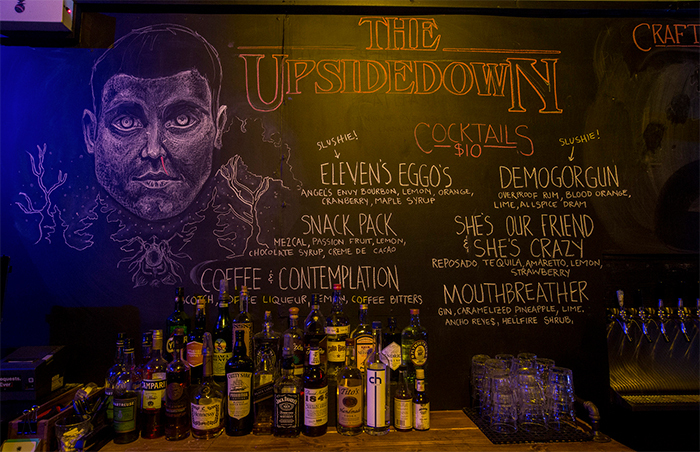 The bar is called The Upside Down, and as you can see, it’s true to its word! “Danny and Doug, my walkie talkie is busted so I had to write this note instead. 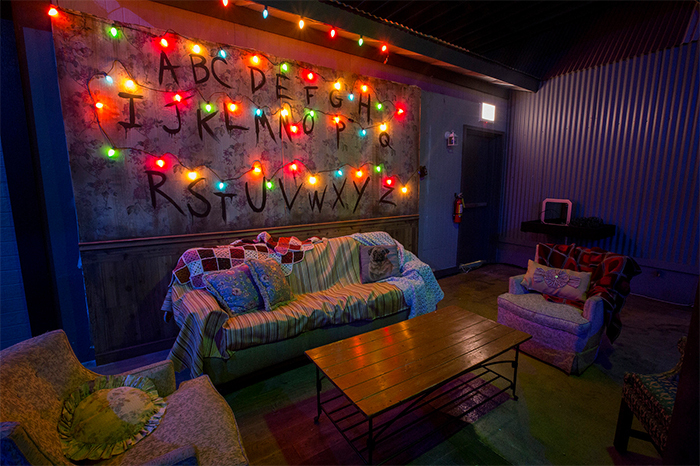 I heard you launched a Stranger Things pop-up bar at your Logan Square location. Look, I don’t want you to think I’m a total wastoid, and I love how much you guys love the show. (Just wait until you see Season 2!) But unless I’m living in the Upside Down, I don’t think we did a deal with you for this pop-up. 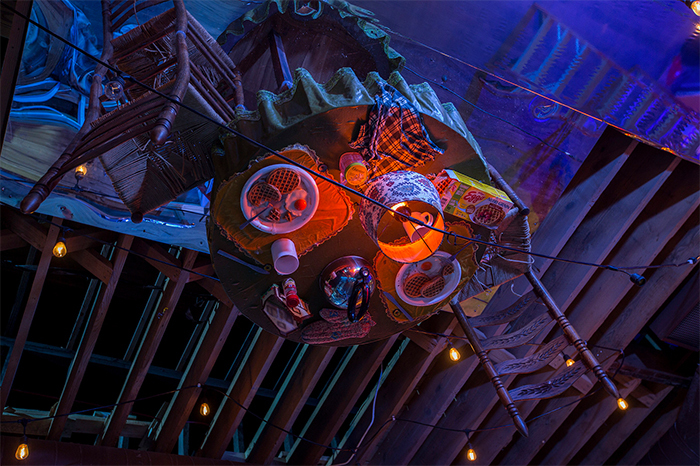 You’re obviously creative types, so I’m sure you can appreciate that it’s important to us to have a say in how our fans encounter the worlds we build.